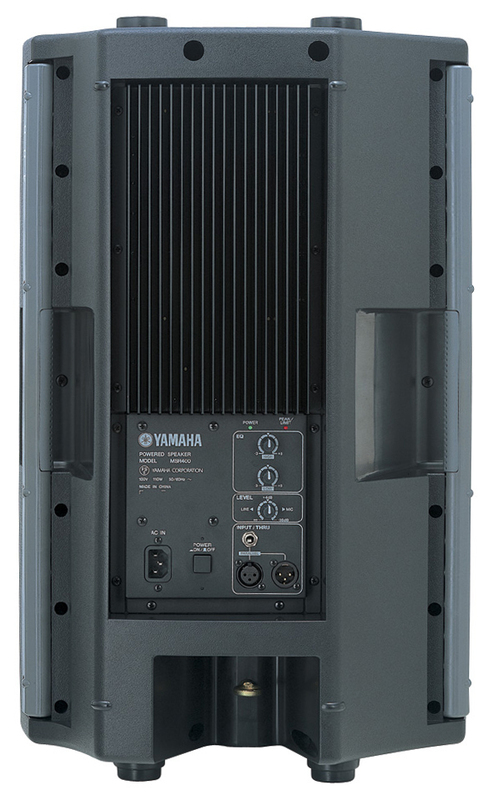 The MSR400 was designed with emphasis on sophistication and powerful sound. The resulting refined appearance and authoritative sound give the MSR400 both brawn and beauty, making it a great choice for a wide array of performing and live-sound situations. The MSR400 employs a two-way bi-amplified system in which the low-frequency and high-frequency drivers have their own dedicated amplifiers. 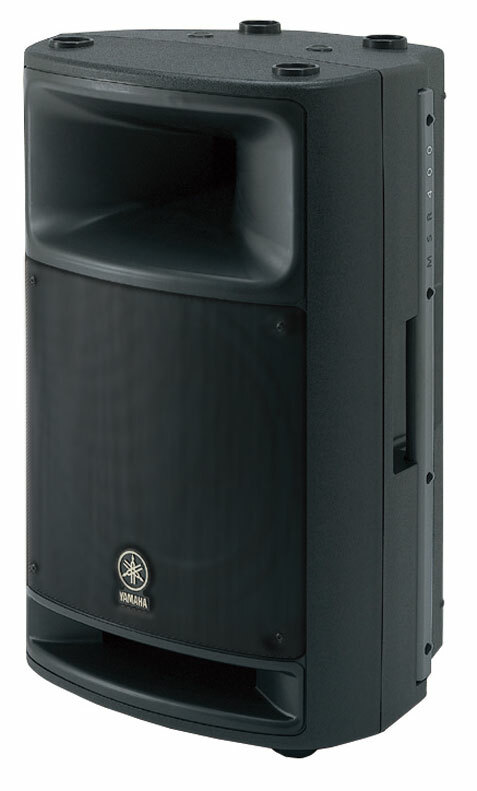 The 12-inch cone type woofer and the 1.75-inch high-frequency horn driver deliver total output power of up to 400 watts (LF: 300 watts, HF: 100 watts burst; 300 watts continuous total). The MSR400 provides three input connectors; XLR-3-31, XLR-3-32, and phone jacks. All inputs are balanced and connected in parallel. The input level range is from -36 dB to +4 dB, allowing the MSR400 to accept output from your mixer as well as other sources such as microphones, synthesizers, or other electronic musical instrument. The control section includes input level adjustment and a two-band equalizer so you can make fine adjustments for optimum matching with your input source. The MSR400 can be mounted and positioned in a number of ways to meet the needs of venues or events. It can be placed vertically on the floor, used as a stage monitor, or even mounted on a speaker stand for improved projection. The top surface of the cabinet provides 8-mm threaded holes that facilitate wall or ceiling mounting. In addition to the green LED that lights when the power is turned on, there's a peak LED that lights red when an input overload occurs. This provides a visual indication of excessive input, allowing you to adjust the input level appropriately.